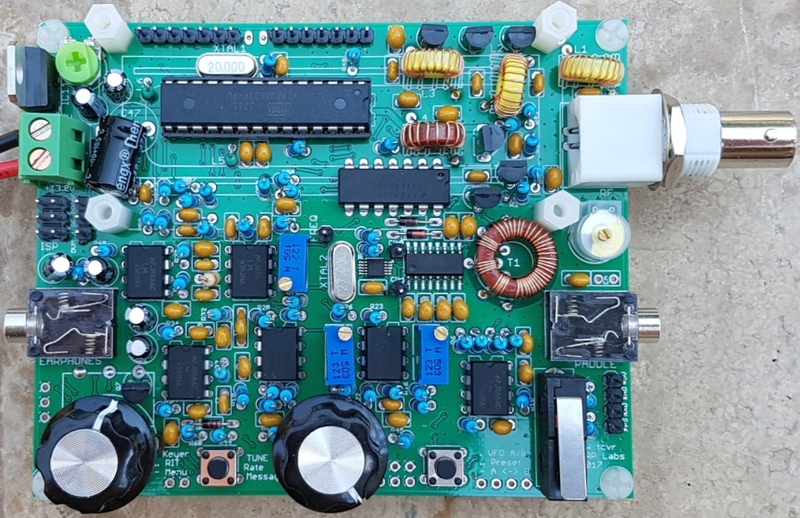 The "QCX" is a 5W, single-band, high performance CW transceiver kit with WSPR beacon, and built-in alignment/test equipment. It is available for 80, 60, 40, 30, 20 or 17m bands. See below for the long list of features! This is a kit of parts that you assemble yourself. There are NO surface mount components to solder (two SMD ICs are already factory pre-soldered). There is also an enclosure kit available (see photo, right). Please see QCX Frequently Asked Questions page for any queries you have. In case of any problems, please see the QCX trouble-shooting page. The assembly document includes circuit diagram and a detailed description of transceiver operation. 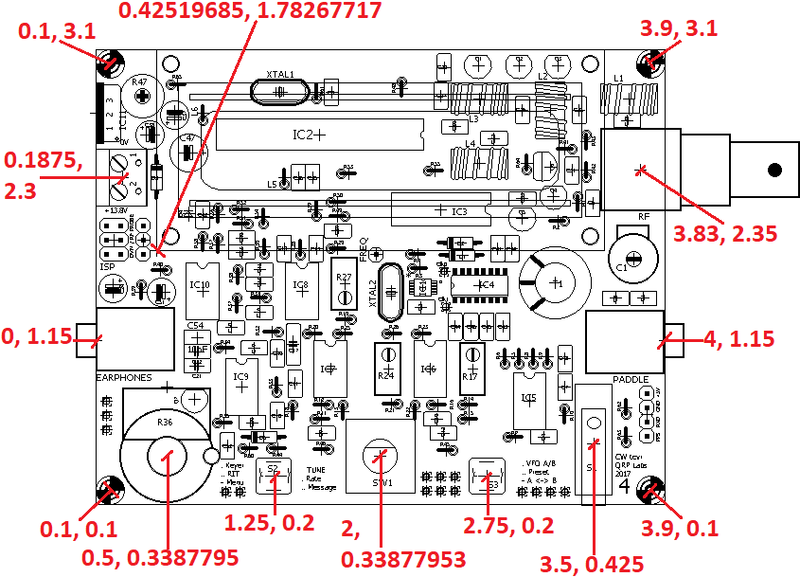 Please download the correct assembly instructions for your PCB revision. The PCB revision is the number in the bottom right corner. 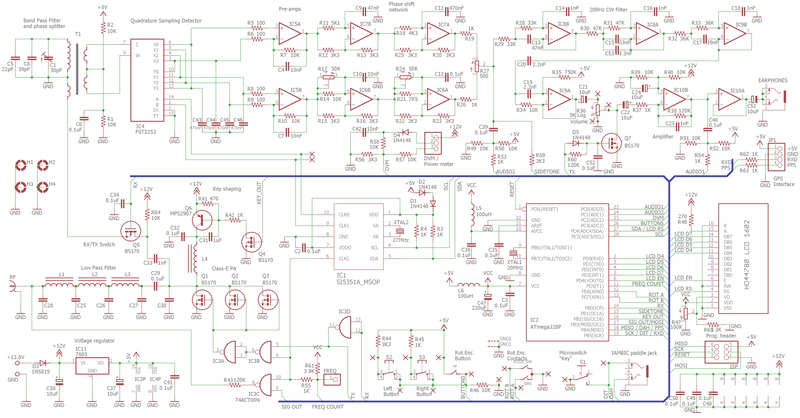 NOTE: PCB Rev 4 kits shipped after 12-Apr-2019 have four component changes. Make sure you have the correct manual version. There are four component value changes in these kits shipped after 12-Apr-2019, which are explained on page 7 of the latest 1.12 manual dated 20-Apr-2019. 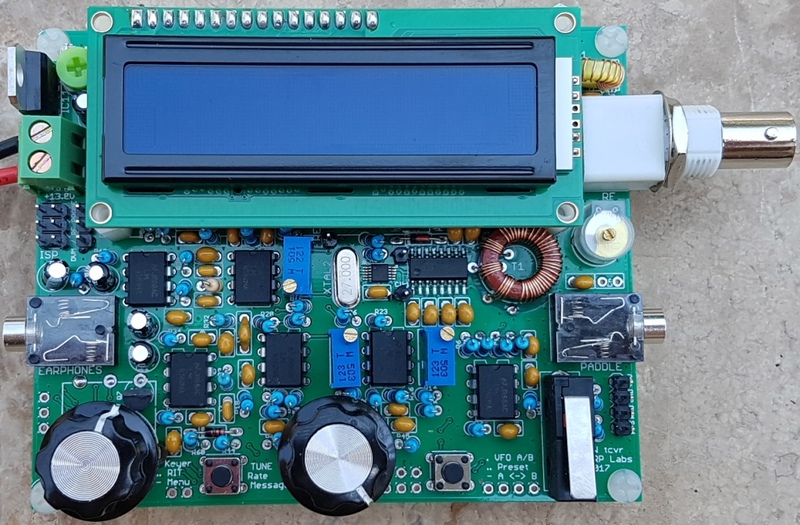 There have been several firmware updates since the 21-Aug-2017 launch of this QCX CW transceiver kit. These provide enhancements and bug fixes. If you have an AVR programmer you can update your firmware using the on-board programming header. The firmware version history and more information are on this page (click!). CLICK HERE for a Modifications page, various improvements you can easily make to your QCX radio. These photographs show the prototype kit, both with and without the LCD module plugged in. 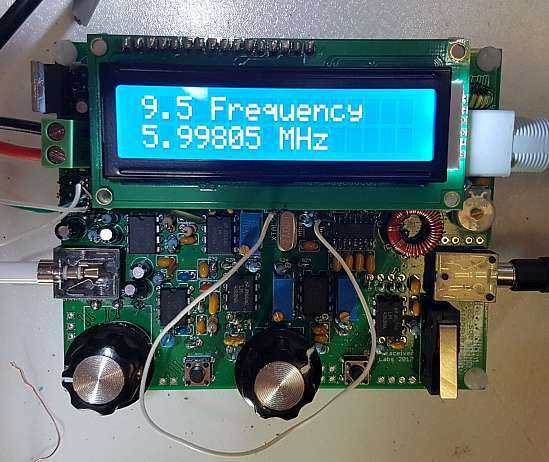 The powered-up kit shows the radio's Frequency Counter feature measuring the frequency generated by its Signal Generator feature. 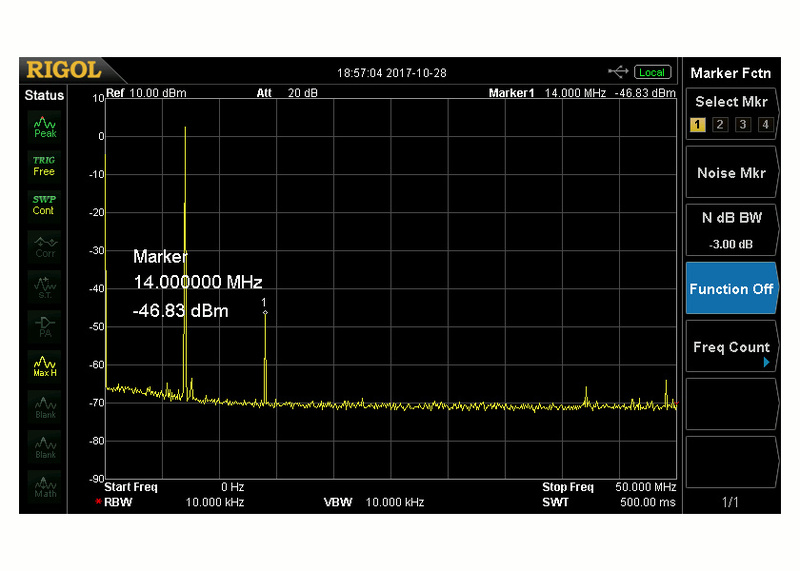 A common question about the QCX transceiver, is about what case to use for it. There is not an official QRP Labs enclosure for the QCX. But many people are finding their own solutions to this question. For photos and information about what some constructors have done about enclosing their QCX, visit the QCX builders' gallery page! QCX kits are being shipped within typically 1 business day of the order. If you ordered also an enclosure kit, and if the enclosure kits are pending supplies from the manufacturer, then your order will wait longer. Serial numbers will be advised via a label on the QCX kit bag itself. The kit was originally designed for the RSGB Youths On The Air summer camp buildathon in August 2017. This RSGB YOTA Vlog video, shot at QRP Labs booth at Friedrichshafen 2017. For more videos and reviews please see the QCX videos page! 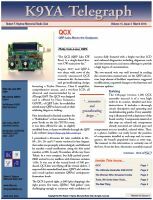 The K9YA Telegraph's March issue has an article on the QCX by Philip K9PL, sub-titled "QRP Labs Moves the Goalposts". 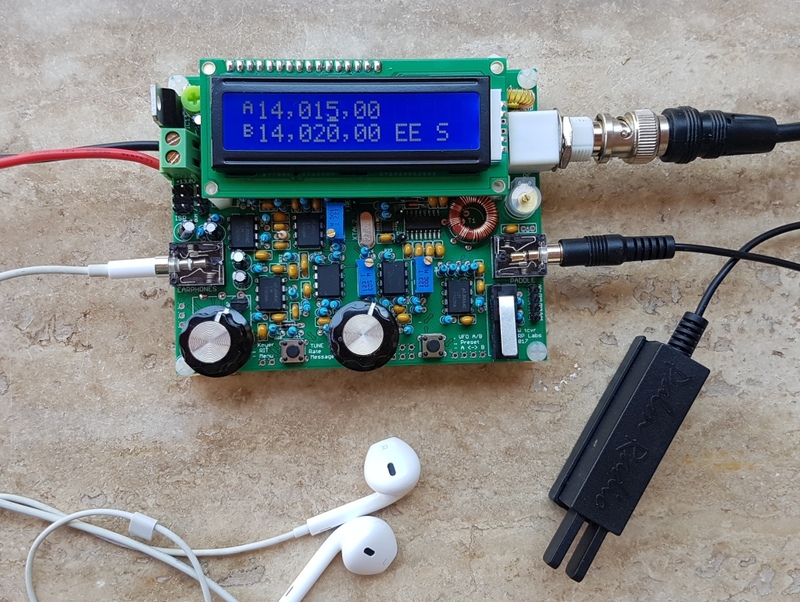 Philip concludes his 3-page article: "...the QCX behaves like a monoband, QRP slice out of a QRO high-end rig with deep, deep menus - very innovative and a joy to operate. The K9YA Telegraph is a free monthly Ham Radio eZine, see http://www.k9ya.org/ for details. Philip K9PL has provided a PDF of the article with permission to reproduce it on the QRP Labs website. CLICK HERE to read it! The following issues have arisen more than once, and have the solutions indicated. No power output at all Check continuity through L1, L2, L3 and other inductors L4 and T1, as advised in the manual. Probably one or more have not properly burnt off the enamel so there is no electrical connection. 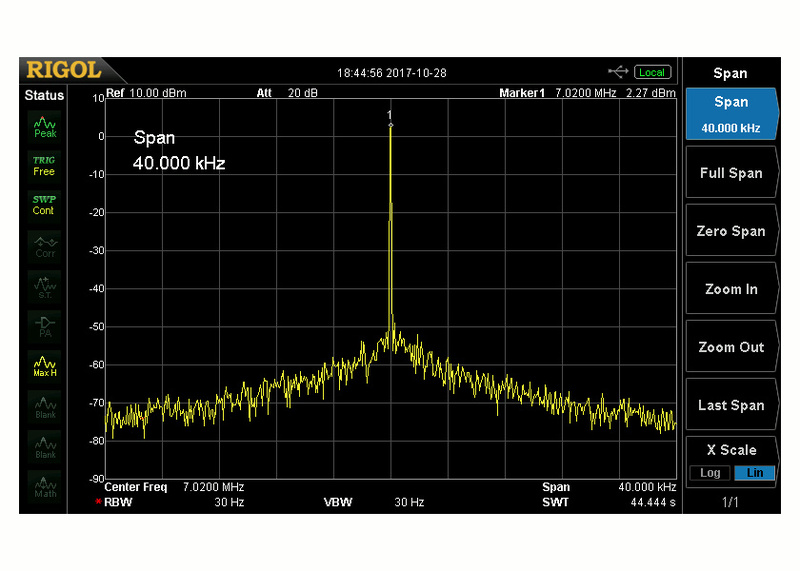 Ed made some interesting measurements of his 40m QCX serial number 354 (see also builders' photos page). The coordinates of the BNC socket, 3.5mm jack sockets (audio out, paddle in), Power connector and microswitch (straight Morse key) are all the coordinates of the Eagle CAD library component origin, and are as shown by the end of the line mark on the diagram. The coordinates of the LCD Module are the bottom left corner origin of the module, as shown. 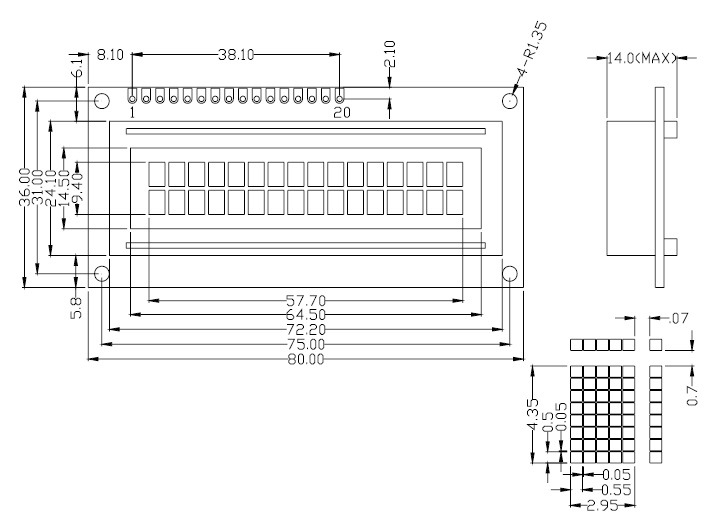 Please refer to the information on the LCD module below this diagram. Do NOT trust the dimensions in the following diagram, for the HEIGHT of the module (cross-section at upper right of the diagram) and for the size of the black metal cover-plate for the LCD glass. These dimensions are known to vary slightly from manufacturer to manufacturer. So if you require exact measurements for these parameters you should verify them with your own measurements. The other dimensions (hole location, 80 x 36mm board size) are always standard.